I very rarely find that a book leaves me without a sense of who the author is. Dear Amy is no different. Helen Callaghan has a unique story to tell and I look forward to reading her future works. Margot Lewis has a dark past. In the new life she has made for herself she is now a high school teacher that gives advice in a “Dear Amy” column. When she gets a letter from someone who is writing as a missing girl from 15 years prior seeking help from her captor,Margot is unsure of what to make of them. Is this a joke? She’s had prank letters sent to her before. This feels different, it feels real. When she goes the police they initially laugh her off but after taking a closer look , they start to believe Margot. 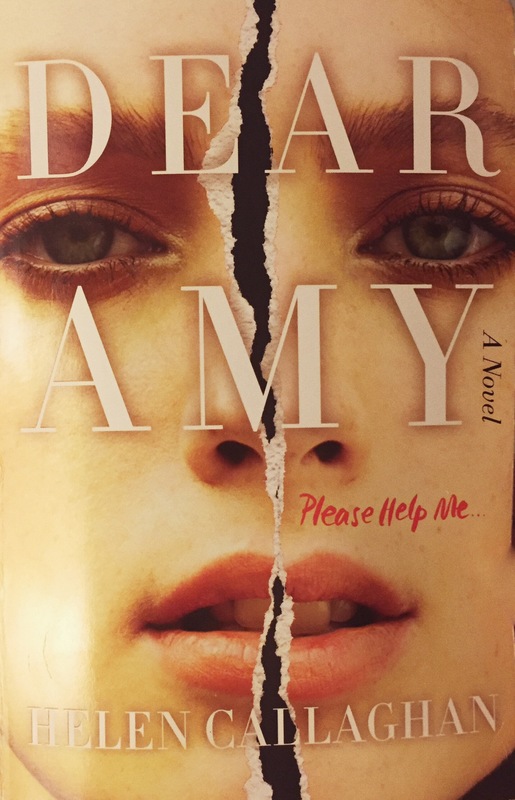 Dear Amy is 340 pages long and took me 3 days to read. I give this novel a three out of five for keeping me intrigued throughout the story. Thanks to Harper Collins for sending me a copy of this great story. Please leave your comments after you’ve read this book!